Tech News Vacation on the wrong forward tension on WhatsApp! Facebook's proprietary instant messaging app is constantly working to give new features to the user. Many features like Vacation Mode and Private Reply feature are currently in beta testing stages. In this way, the social messaging app is now testing WhatsApp forward preview feature. This means that WhatsApp has to follow another step before sending the text, image, GIF, video or other content to more than one user. After adding this step, users will be able to re-think about several things like adding and deleting other users in the list. 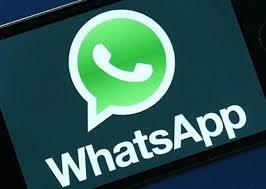 Whatsapp Tipster WABetaInfo has first spotted the feature's Android beta version 2.18.325. Tipster notices that WhatsApp is testing the Forward Preview feature. This feature will pop up before forwarding anything, after which the user must decide whether to confirm or castle. Please tell that the preview feature will only appear if you send a media file or message to two or more users. Recall that WhatsApp recently started testing private reply. With the help of this feature, no other member can send a message separately to any individual during the group chat. There will be no need to leave the group for this. This feature is available on the Android Beta version 2.18.355. To use the WhatsApp Private reply feature, first, you have to hold the message of the person whom you want to reply to private. After that click on the three dots on the right side of the app. Here you will find the option to reply to private. By selecting this option, the selected message will be opened separately in the chat window.